festival that will take place on Værøy from 16 to 22 july 2014.
world can come together and celebrate the midnight sun. There is mainly 2 musical areas; SUN OBSERVATORY & SUN TEMPLE. 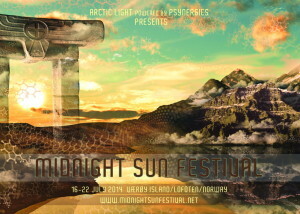 of ambient music, live bands and groovie electronic beats. underground full power dancemusic at its core. Expect nothing less!